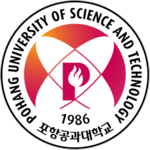 Pohang University of Science and Technology or POSTECH is a private university, based in Pohang, South Korea, which is dedicated to research and education in science and technology. In 1998, it was ranked by Asiaweek as the best science and technology university in Asia. Furthermore, from 2002 - 2006, one of Korea's most circulated daily newspapers, Joongangilbo ranked POSTECH as the leading university in Korea. The official history of POSTECH begins on November 9, 1986. However, the school's opening is actually celebrated on December 3 (concatenating 12 from the month and 3 from the day gives 123). The full name of POSTECH at the beginning was Pohang Institute of Science and Technology. The first students matriculated on March 2, 1987, all of whom lived in 4 dormitories in their first year. The university has ten undergraduate departments and 15 graduate departments which includes five professional schools.